Pretoria – Small Business Development Minister Lindiwe Zulu on Friday launched the Centre for Entrepreneurship in Welkom, Free State, saying such a centre will promote entrepreneurship as a career of choice. The centres is the ninth such hub in the country. The launch of the centre forms part of the sixth National Imbizo Focus Week themed ‘Together we move South Africa forward: Our future – make it work’. The Minister said given South Africa’s past, the majority of black people were left out of the mainstream economy. Government now firmly aims to support those who want to start their own businesses. “This is a platform where they are being empowered in the understanding of what it is to be an entrepreneur,” Minister Zulu said of the centre located at Goldfields Technical and Vocational Education and Training (TVET) College. 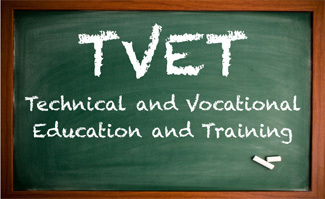 The Minister acknowledged that not everyone can go to university and government felt it important to support TVET colleges to introduce entrepreneurship studies. “[This is] because we’ve seen already the importance of small and medium enterprises that are growing tremendously in South Africa. In order for us to support those entrepreneurs or those who want to become entrepreneurs in future, they need to go through specific training… [to understand] the economy, the business areas that want to [be involved in] and how to start and grow their business,” said Minister Zulu. The Centre of Entrepreneurship will provide the appropriate support to young people at the early stages of the entrepreneurial journey, including training on entrepreneurship, mentorship and networking. The centre will lend a hand to those who have completed their matric and have met all the criteria required by a TVET college. At the Global Entrepreneurship Week in Johannesburg in November 2016, the possible introduction of entrepreneurship as a subject in school was raised. Referring to this on Friday, Minister Zulu said when looking to developed countries, the issue of choosing to be an entrepreneur was something that took place at school level, even at primary school level. By introducing entrepreneurship at school level, South Africa would benefit in that more people will see starting their own businesses as a viable option. Minister Zulu said small businesses should position themselves to get maximum benefit from government’s 30% procurement set-aside for SMEs, when the policy comes into effect. The Minister called on entrepreneurs to realise that entrepreneurship is not about government “knocking on their doors”. “It’s not about that. Entrepreneurship is very hard because you are building something that you believe in, something that you know belongs to you and therefore the extra time and suffering, the extra mile you put in depends on you. “Our responsibility as government is to create the conducive environment for small and medium business to operate. We have to make sure that the legislation and the regulatory environment is right. We have to make it easy for them to do their business. If anyone thinks entrepreneurship is easy, it’s not”. The Minister also urged communities not to burn down infrastructure when they are protesting. The launch of the centre forms part of the Imbizo Focus Week, which started on Monday and ends on Sunday. It seeks to promote public participation and ensures that voices and perspectives of communities are heard.